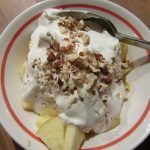 A quick breakfast for any day. 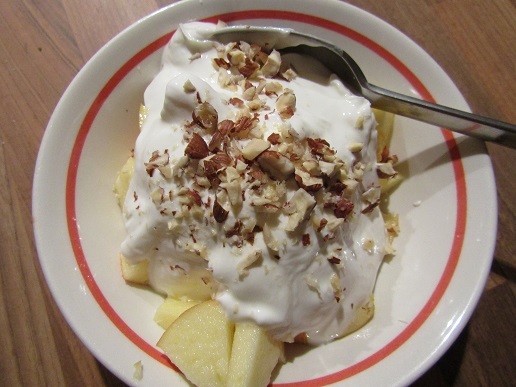 Empty the yogurt into the bowl on top of the apples. Crush the hazlenuts, add them to a small bag and bash with a rolling pin top the yogurt.